EP #001– Are you interested in writing for TV? This NEW podcast may be just what you’re looking for! It is my mission, as a former television writer and current TV writing studies university professor, to help the curious learn the basic forms and discover the joys of writing for television. 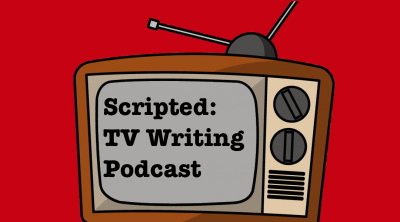 If you’ve never written a television script before, or if you are a screenwriter interested in the TV form, or short story writer or novelist or poet, or just someone who loves TV and wants to try their hand at writing TV, then this is the podcast for you. Join me, as each episode we explore together the lessons I’ve learned both as a former professional television writer and someone who is taught students how to write TV for over a decade. It is my goal, to make each episode is interesting to listen to as a story told around the fire. Information can be dry or it can be exciting. I very much hope that you’ll find this podcast is enjoyable to listen to as it is for me to produce. In this, our first podcast episode, I take you through the structure of the show and the idea behind what we’re trying to do. In this, our first episode, I described how important it is that a TV writer understand the history of television, and all that’s come before. It’s impossible, I argue, to write the exciting shows of tomorrow, without understanding the exciting shows of the past. Each episode, I’ll give you some homework that will help you develop your skills as a television writer. In episode 001, I’m asking you to explore a decade of television unfamiliar to you. Find out what was on the air, what shows were popular, what the ratings were, what the network schedules were– for any given year. Seek out a television show from that decade that’s unfamiliar to you, and chances are good you’ll be able to find a streaming service where you can watch several episodes. There are lots of good references you can find to help you understand what happened in each decade of television history. Below you’ll find the links to some books that may be of use to you. I highly recommend the book by Brooks and Marsh available for your Kindle. I have used it in my classroom, and have my own copy, and find it extremely helpful. In the interest of full disclosure, any links are part of my Amazon Associates Account, the proceeds of which help me pay for the services that are necessary to produce this podcast. Thank you in advance for your support. I plan on releasing these monthly, so I can do them right. Won’t you subscribe? And tell your friends.